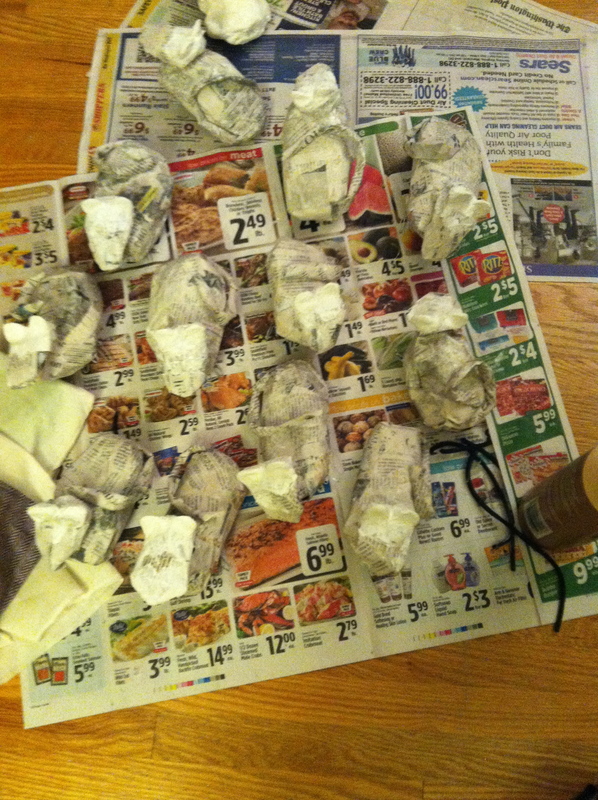 Lots of paper mache mice waiting to be painted. 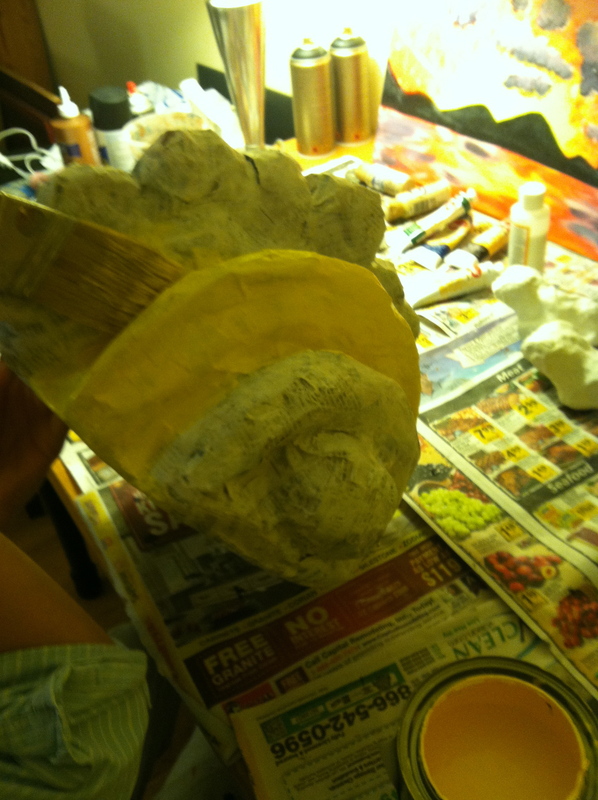 Snail’s base, getting a first coat of paint from Genna. 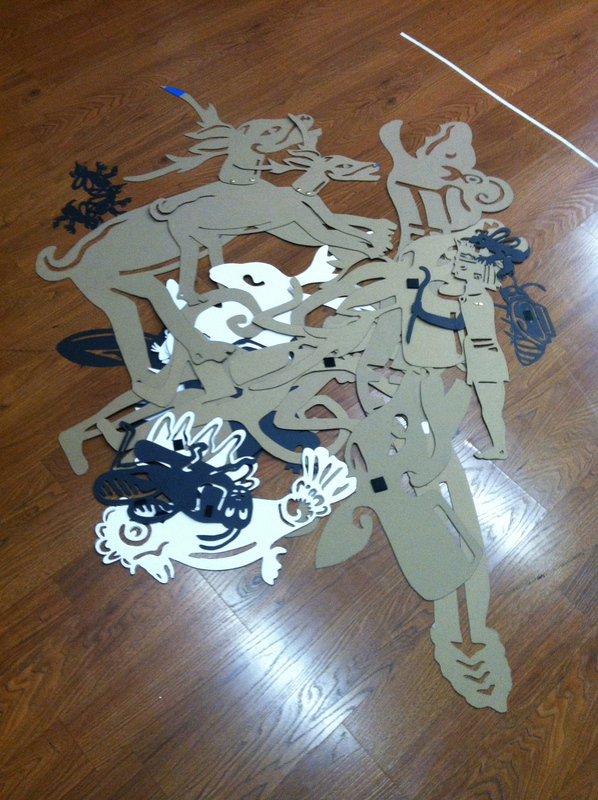 There are SO MANY shadow puppets in this show. 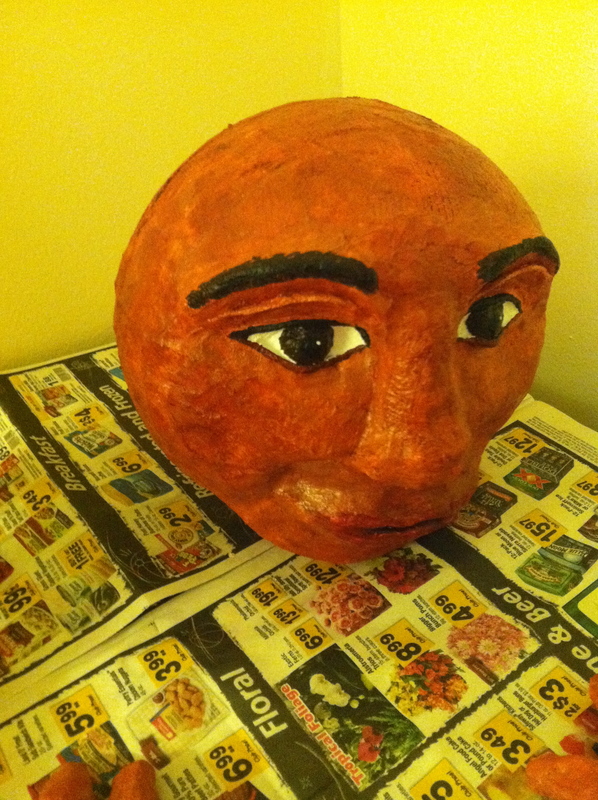 The head of a child puppet, waiting for hair.